Even White Trash Zombies Get the Blues is book 2 in the White Trash Zombie series. I recently reread book 1 and decided to try to binge listen to the audiobooks of this series since I never went past the first book way back in the day. I now know why so many of yall love the audiobook versions! Angel Crawford, our leading lady, is a zombie that works at the morgue. It's pretty much a perfect job for someone that requires brains as their food source. We start off with Angel out on a crime scene to collect a body but something is weird about it and the high tech facility it's in. But Angel does her job and when she gets back to the morgue she's winds up getting held up for the body she collected. If that isn't enough on her plate, Marcus, her zombie boyfriend wants her to meet his family. 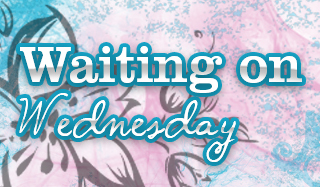 There's a ton of stuff going on in this installment like the "zombie mafia", a secret lab that is working on something zombie related and Angel just needs to figure out what the heck is going on before something bad happens. 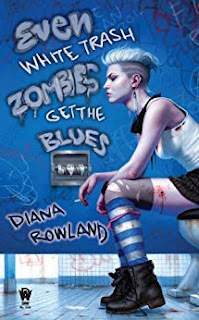 Even White Trash Zombies Get the Blues was a novel all about character growth. If I compared Angel from the start of book 1 to now, there's a world of difference. The opposite could be said about Marcus though, and I was frustrated at how childish he behaved several times. I'm happy we got to learn more about the zombie aspect and how it all worked and interested in seeing where the next book leads us. If you're a fan of zombie Urban Fantasy novels you might enjoy this series.